To start your city search, scroll the list or click the city on the map. 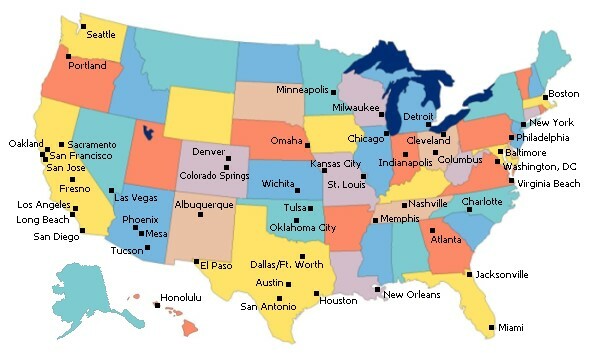 Direct your search to any one of the nation's 50 largest cities. Sorry. Currently, we have no resource listings for this area. Please come back.